Is your camera in a jam, misbehaving or in need of a little TLC? 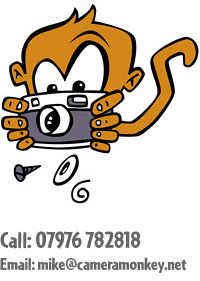 Camera Monkey cares about your old film camera! He wants it to work. To take pictures again and bring joy to you and your friends. We rescue TLR, 35mm compact, rangefinder, SLR, medium format, box, folding/bellows cameras, Polaroids, LOMO and toy cameras. We sort out shutters and stuck mechanisms. We can restore and replace leather. We also renew light seals and do Holga mods.